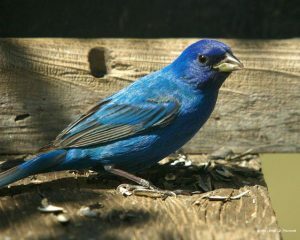 The Indigo Bunting is a bird that can be seen as blue or purple. But, the male Indigo Bunting is actually black and it is the diffraction of light through their feathers that gives them a blue-ish appearance. You can spot this bird in this region in early May till about early August/ late September. This episode aired on Saturday July 9th, 2016.